The gig economy is thriving, and if you aren't already making money with your phone, you could be missing out on easy residual income. Some people just want extra cash, and some even manage to completely ditch the 9–5, enabling them to work at their own pace and set their own hours. There's an ever-growing list of micro-gig applications that promise to change the way you make money. The question is, of course, which ones are genuinely worth your time? Allow me to help with this list of what I consider to be the best micro-gig applications to start making real money right from your phone. Possibly the most recognizable micro-gig application on this list, and for good reason. Since its launch in 2010, Fiverr has connected freelancers and buyers from across the world and has grown to become the world's largest marketplace for digital services. Gigs start at $5, lending to the name "Fiverr," and sellers list their offerings with straightforward headlines that detail exactly what's on offer. For example, I posted a gig titled "I will create a professional logo for you for $5" to offer up my skills as a graphic designer. Forbes highlighted three sellers who worked their way up the ranks to pull in six-figure earnings through the service. That's some hefty competition, but don't be deterred! Remember that even the most successful sellers on Fiverr had to start with a blank profile. 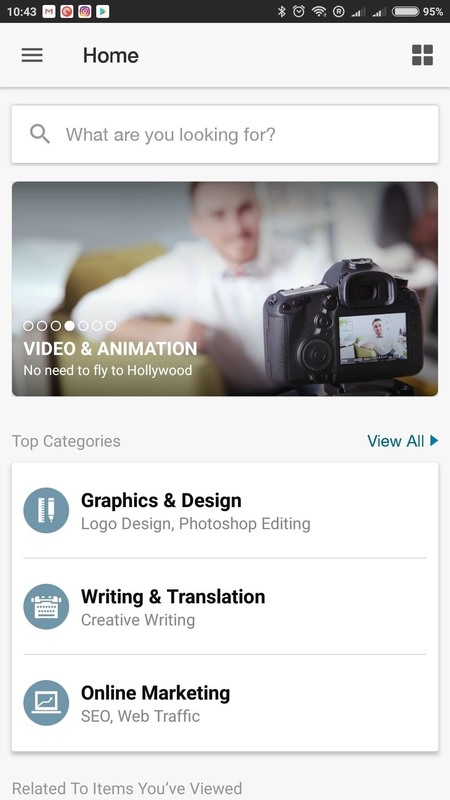 Using Fiverr is simple for both freelancers selling their services and people in need of their skills, and the application is perfect for managing, listing, and buying gigs on the go. The application sports an intuitive design that allows you to edit your profile and accept jobs on the go. Here's an example screenshot from a brand-new profile, displaying seller level, rating and other relevant information. As a buyer, you can search for services across a variety of categories. With so many gigs to choose from, you'll have no problems finding what you're looking for. Sample work is showcased on each gig page and users can read reviews from previous customers. Once a decision has been made, it's a simple case of checking out and paying with a credit or debit card, PayPal, or Apple Pay via the application. As a seller, you'll complete your profile and post your first gig along with a detailed description that tells the buyer what you're offering. You can choose to work in a vast range of categories — everything from quick spell-checking jobs all the way to ongoing music and audio production gigs. Although gigs start at $5, you can increase your earnings by listing additional gig packages that include extra services at higher prices. Sellers receive 80% of the total order value, and payment is released 14 days after an order is marked as completed. When you have a balance in your seller account, you can withdraw funds to either your PayPal account or cash out via direct deposit. Fiverr operates internationally, and the service is available to anyone over the age of 13 in the United States. Freelancer claims to be the world's largest freelancing and crowdsourcing marketplace that puts businesses and employers in contact with a global network of freelancers. 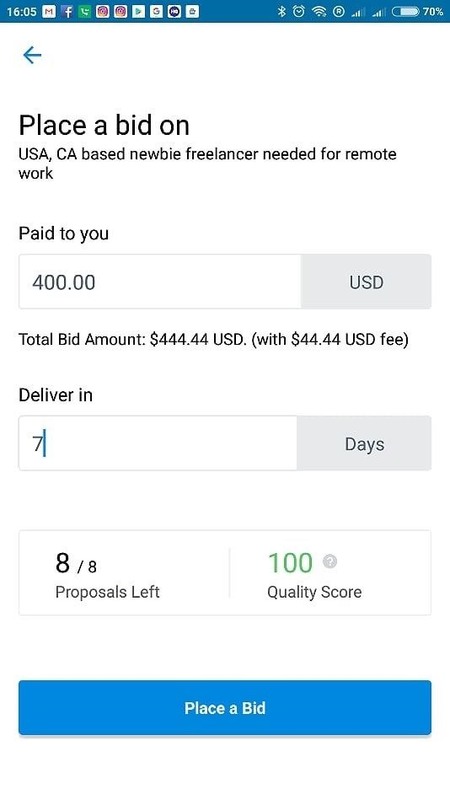 The service is unique in that it allows users to bid on projects or jobs; as members post projects, freelancers bid with their rate and expected time to complete it. This article addresses some concerns regarding the bidding process and provides some helpful tips for starting out. While underbidding might gain initial attention, simply quoting a low price will not secure work as employers want to be sure that they're paying someone who can do the job in the best possible manner. It costs nothing to create a profile and start making money with Freelancer, however free memberships are limited to 15 bids per month. For more frequent users, Freelancer offers four tiers of premium memberships that lift bidding restrictions and allow users to list additional skills, alongside additional perks such as daily withdrawals and free project extensions. After completing a project, payment is transferred to your Freelancer account. Once your balance has reached a minimum of $30, you can request to withdraw via direct deposit, PayPal, or to a Freelancer Debit Card. Freelancer operates both internationally and throughout the United States, and users must be least 16 years old, or the minimum age required in order to sign a legal contract in their respective territory. Rover is a dog boarding and walking application that allows you to "get paid to play with dogs." Dog lovers, this one's for you. 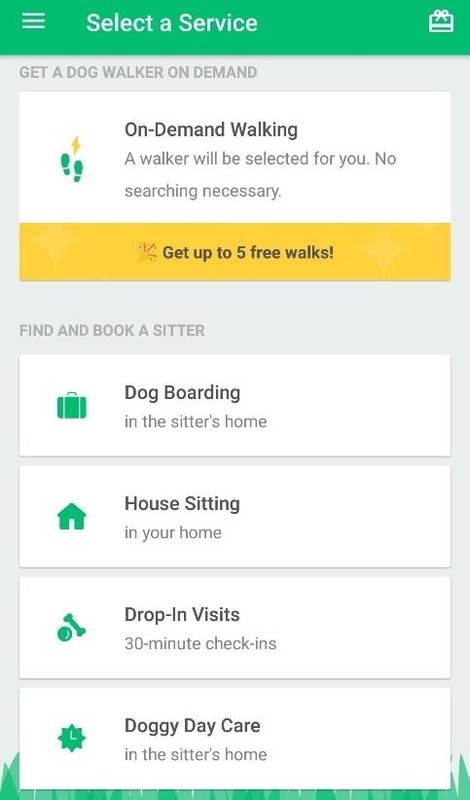 Rover connects a network of over 100,000 sitters and walkers to pet owners in the US and Canada; the service has just launched in the UK, and Rover claims dog walkers can earn up to $1,000 per month. 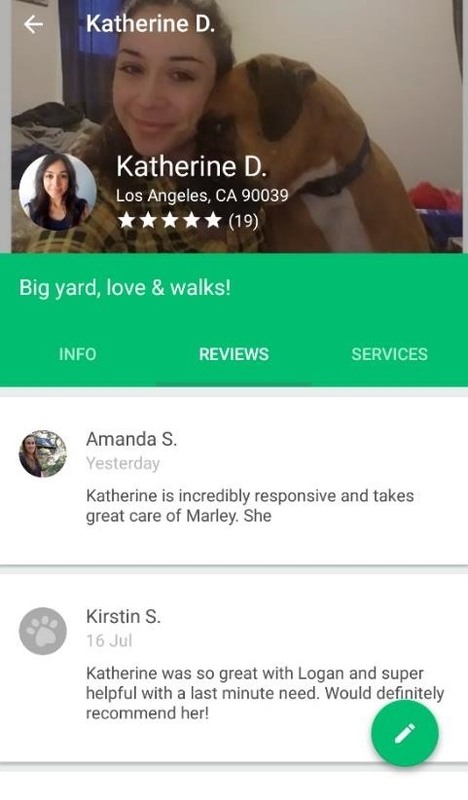 All booking and scheduling is handled via the application, which provides photo updates, GPS tracking, and facilitates messaging between sitters and owners once a booking has been confirmed. Signing up is free, and you can join as both a sitter and a walker. Rover employs a stringent verification process, involving a review and background check to ensure the safety of its users and their pets. Once your profile has been approved, you'll be able to list your services, set your rates, and start taking bookings from clients. Profiles are listed based on location and availability, with each displaying individual hosting preferences alongside pictures and reviews from previous clients. Payments can be withdrawn via PayPal or check two days after completing a service, and you can choose to work across four different categories. Dog Boarding: Care for a pet overnight in your home. Rover claims it's the highest earning category with boarders often earning more than double than sitters who don't offer boarding. Dog Walking: Sign up to dog walks that fit your schedule. Doggy Daycare: Caring for a pet during the day. Rover says it's ideal for work-from-home dog lovers. House-sitting & Drop-ins: You stay with or check on pets at the owner's home. Getaround is an on-demand car sharing service that allows you make money whenever you're not using your car. They're aiming to disrupt the car rental market just as AirBnB has done with the hotel industry. Come to think of it, it's pretty much AirBnB for cars, and I can totally get on board with the idea that any time I'm not using my car is time that it could be making me money. 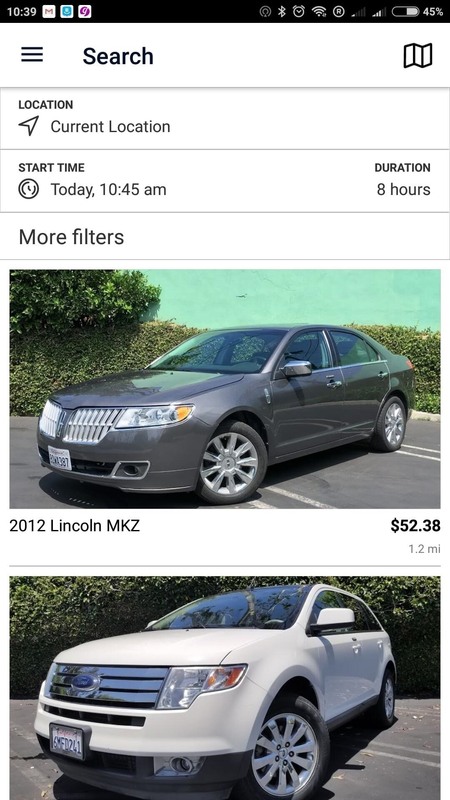 Renters search for nearby cars via the application, then book and unlock using the unique Getaround Connect, a piece of hardware that allows for cars to be unlocked from the Getaround app on your phone. This means you never even need to meet the person who rents your vehicle — it's completely hands off, with very little work required on your part. You could be off holidaying on a beach somewhere while your car earns you residual income. Launched in 2009, the service has grown to over 500,000 members across the US and currently operates in most major US cities. With more to come soon, Getaround is actively searching for car owners to list their cars, and they promise a return on your investment with potential earnings of $500–$1,000 per month. 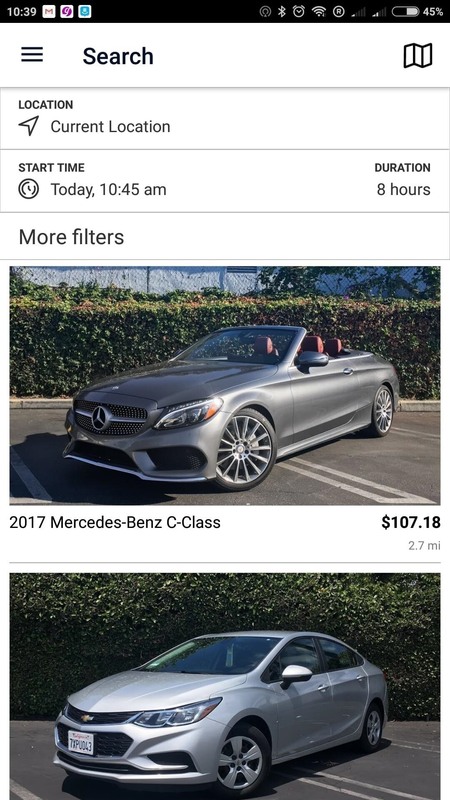 Owners get paid on the 15th of each month by either check or PayPal, and cars listed with Getaround must be under 125,000 miles and no older than 2006. All rentals include 24/7 roadside assistance and insurance coverage to the tune of $1,000,000. Renters are verified via DMV records and they are responsible for returning the car in the same condition in which it was collected — all cars are non-smoking, and a $100 cleaning fee will be charged if the vehicle is excessively dirty when returned. Getaround states that cars should be clean, well-maintained, and smoke free in their owner help guide. It's free to sign up and start earning, and you can choose to list your car for both hourly and daily rentals. Once approved, Getaround will pick up your car to have the Connect installed in the vehicle and professional photos taken for your profile. When your profile is up and running, you'll detail the pickup and return instructions to be shared with your renter, then set your car's availability so you can begin taking bookings and start making money! DoorDash is a delivery application that facilitates door-to-door delivery by allowing people to work as delivery drivers for local merchants. Deliveries are usually made by car, but certain locations allow "Dashers" to use bikes, and some even allow for walking. 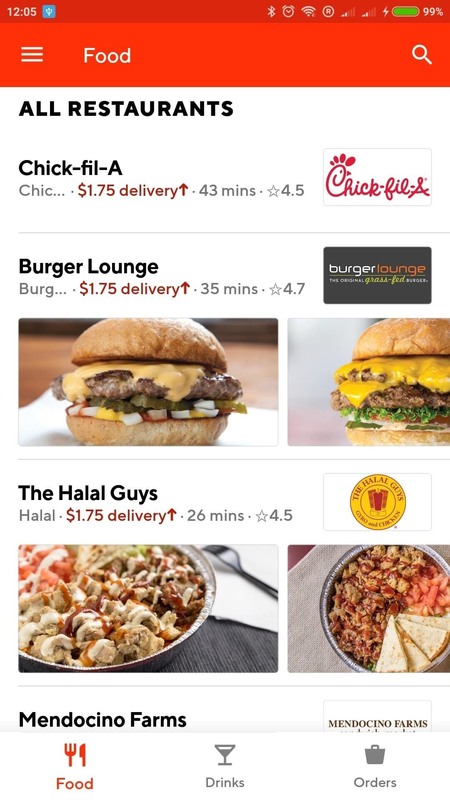 The rapidly expanding service has grown to cover most US cities, and DoorDash has partnered with multinational partners such as The Cheesecake Factory and Taco Bell, as well as smaller independent establishments. All DoorDash drivers must be at least 18 years old and pass a background check. 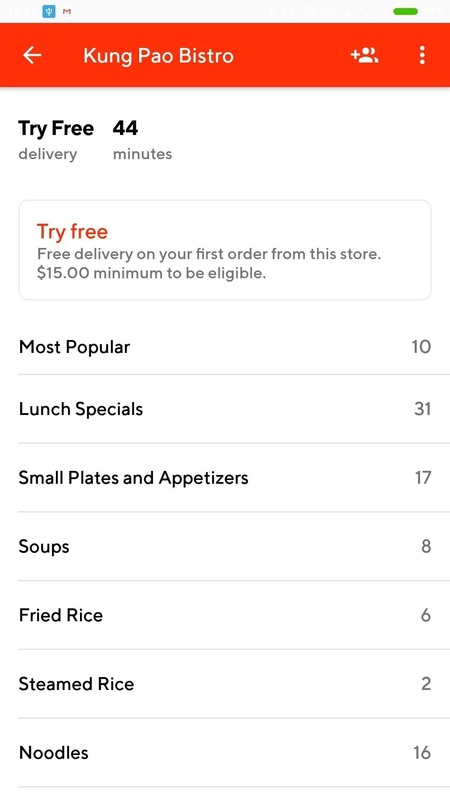 After completing an initial orientation, deliveries are assigned and managed via the Dasher application (separate from the DoorDash application used by customers). True to the micro-gig economy ethos, DoorDash lets you work when and where you wish. You can either "dash now" or plan in advance, by selecting the schedule page and picking whatever days and times work for you. Payment is made weekly on a per-delivery basis, and you get to keep 100% of the tips. Income varies depending on location, but there are no surprises as the application will always state the exact amount you'll earn before accepting an order. 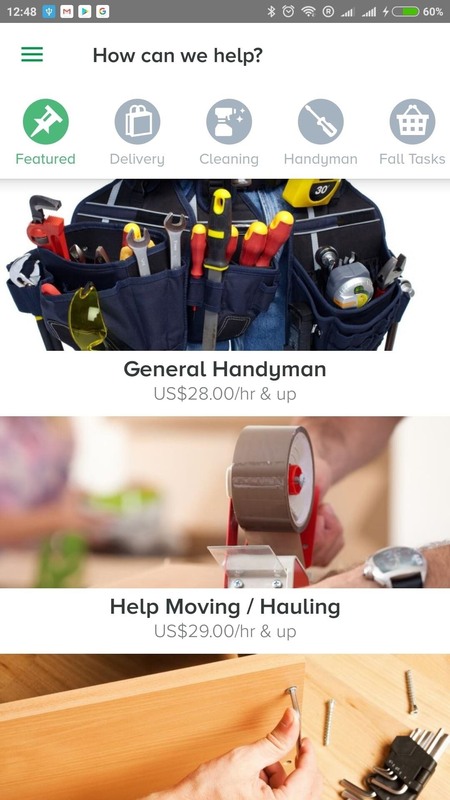 TaskRabbit specializes in "everyday work," allowing you to make money as a "tasker" by completing odd-jobs and errands. It's available throughout the US, and with over 50,000 taskers, the company prides itself on providing the best platform to get things done around the house. Work categories include a range of handyman services and additional duties such as cleaning, yard work, and shopping and delivery. One of the more peculiar tasks I found on TaskRabbit was "waiting in line", which is just as it sounds … you get paid to stand in line or hold someone's spot in a queue. 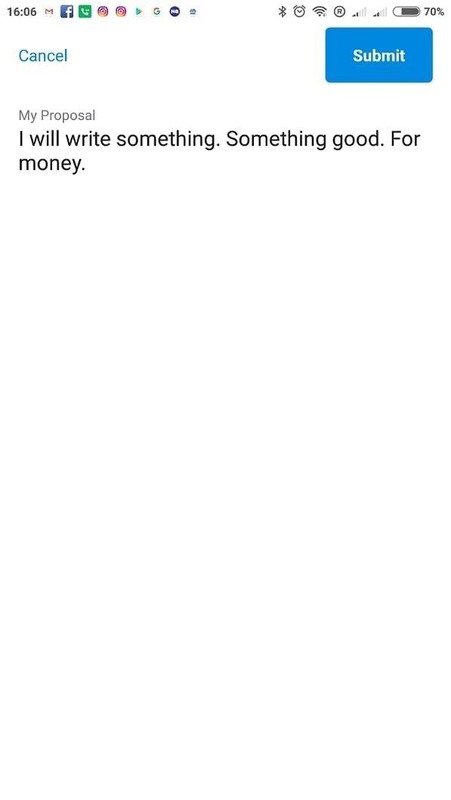 When a user lists a task, the application matches appropriate taskers based on the category and criteria of the job. Task descriptions clearly describe what needs to be done, and the client can review taskers' hourly rates and qualifications before making a booking. 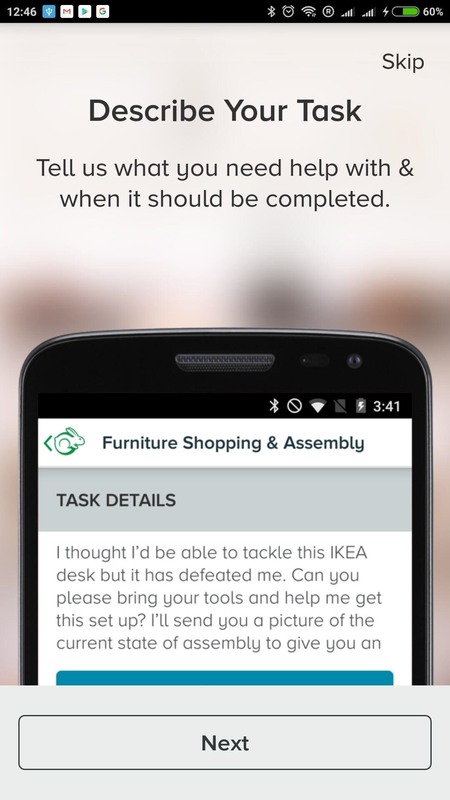 As a tasker, the application notifies you of nearby jobs and you select the one you wish to sign up to. Once details are confirmed with the client, you'll complete the work and the application will release payment. Signing up as a tasker is handled via the TaskRabbit website — the application is free to use, though an initial $20 fee is required for background checks and processing. Once you've selected your location, you can choose from a list preferred work categories and specify your level of experience and hourly rates. Each category has a suggested rate which is based on what clients choose most often in your area. TaskRabbit is available in 43 metro areas across the United States, and users must be located in one of these listed areas to register as a Tasker. Field Agent outsources market research, allowing you to make money by completing assignments on behalf of businesses. The application clearly lists all nearby jobs which include customer service audits, mystery shopping assignments, and surveys. Pay varies depending on the assignment, and common jobs include price checks and in-store display checks. In the gallery below, you can see an example of an Electronics Display Audit assignment at an AT&T store. 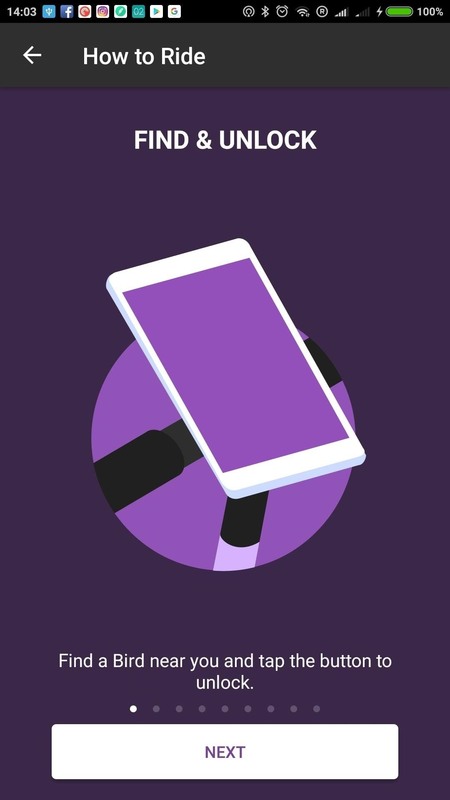 If you want to start as an Agent, you can sign up with the application, then use your smartphone to collect photos, videos and information from stores. Jobs are listed based on your location, and there's a handy "map view" which allows you to see the closest assignments. Once you select a job, you'll have less than 2 hours to complete it. 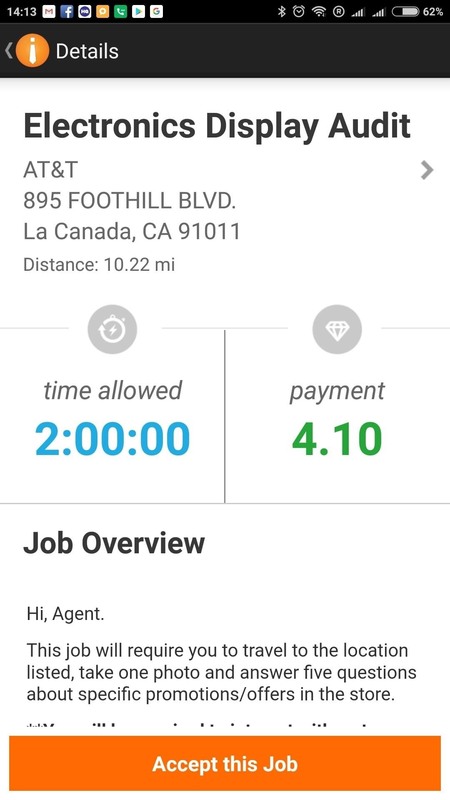 Remuneration ranges between $1 and $12, and earnings are stored in your Field Agent account until you decide to cash out. There are no restrictions on who can join Field Agent, and assignments are available throughout the United States. EasyShift promises to pay you to shop, eat, and explore in your city. 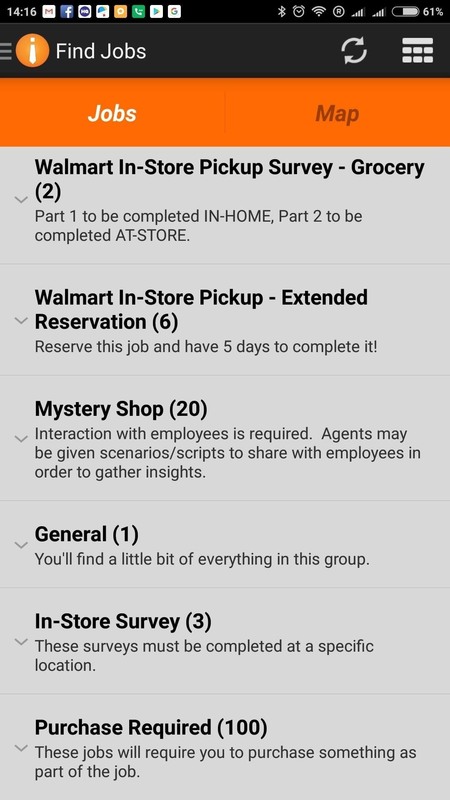 The application lists a range of nearby micro-jobs which include display checks and mystery shopping assignments. Tasks are typically simple and involve taking photos of products, checking prices and reviewing promotions. Shifts are listed on behalf of both independent businesses and large organizations such as CVS and Dollar Tree. 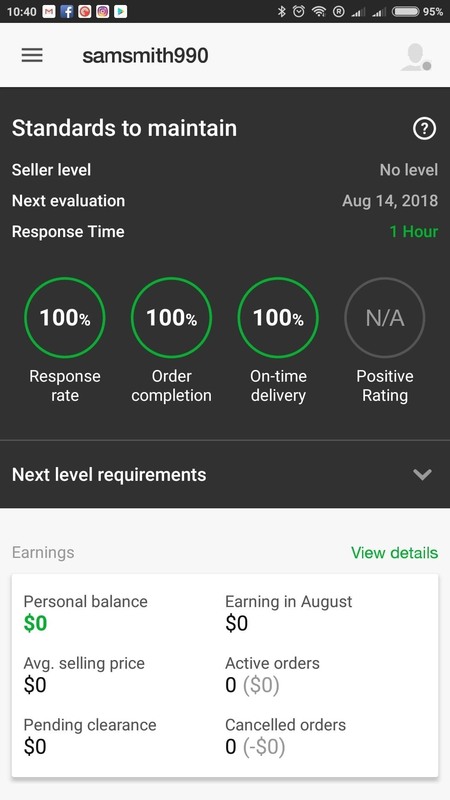 Payment varies from job to job, averaging around $4 per assignment, and earnings are sent via PayPal within 48 hours of approval. One great feature is the inclusion of a community hub which acts as a forum for EasyShift users to interact with each other. 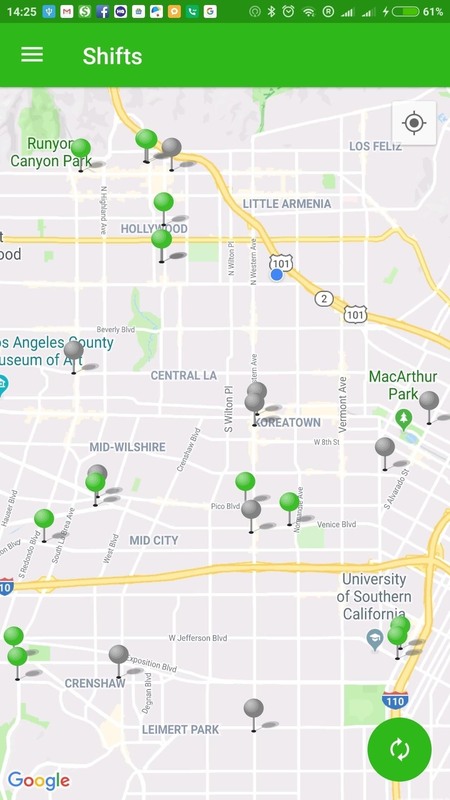 Signing up is easy, with no application or experience necessary, and the application takes a no-fluff approach as it opens with a simple map that clearly displays all nearby jobs. 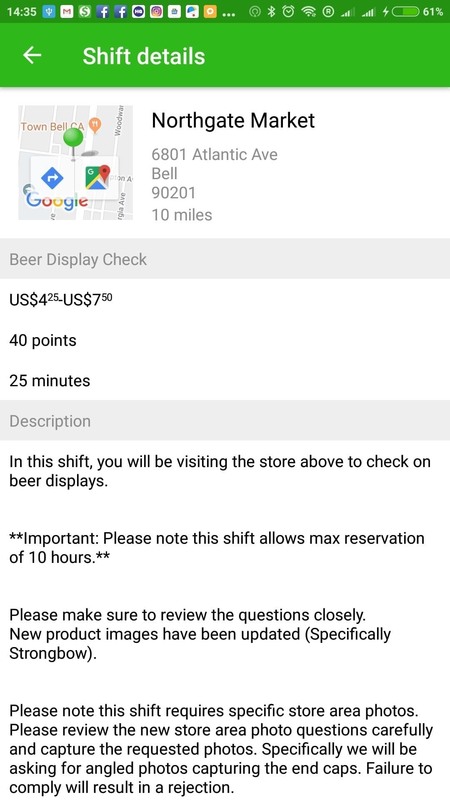 After selecting a pin, you'll be greeted by the Shift Details screen which lists payment details alongside the job's description and specific reservation timeframe. EasyShift operates in all US states, and users must be either 18 years old or over 21 for shifts requiring age-restricted items. 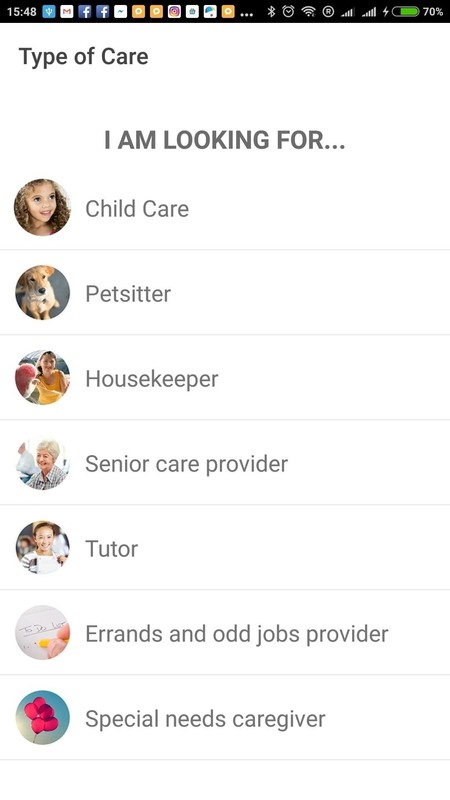 Care.com's Caregiver application allows you to find a range of caregiving jobs, including babysitting, nannying, and housekeeping. 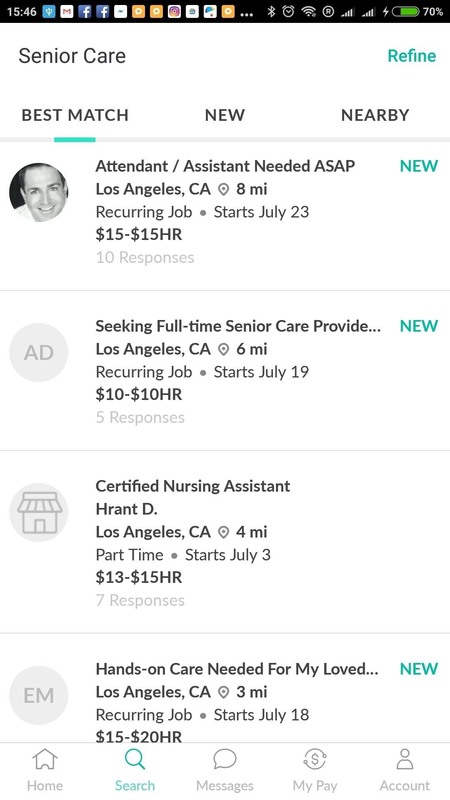 Job posts are created via the separate Care application, which allows users to browse caregiver profiles and reviews from previous clients. Listed categories include child-minding, pet-sitting, housekeeping, senior care, tutoring, errands, and special needs care. Sign up via the application and select the type of care you wish to provide. Depending on your selection, background checks and certain certifications may be required. Once you've completed your profile to include your bio and all relevant information you can start applying to care jobs from your mobile phone. Jobs posts include all relevant job details alongside general information which includes the start date and caregiver preferences. Once you find a suitable job, you'll be able to share a custom note with your profile at the press of a button. The service operates internationally and it's available in most US States, with a complete list available here. Lyft and Uber aren't exactly hidden secrets these days, but no gig economy article would be complete without a shout out to one of these ride sharing behemoths. Both deserve credit for the part they've played in popularizing this category of work. Each application promises similar earning potential, but I've had a soft spot for Lyft ever since its fleet of cars sported those fluffy pink mustaches. Lyft's application connects drivers with nearby riders who can book private or shared rides as part of Lyft's economy mode, which matches people headed in the same direction at a discounted price. After completing a ride, passengers have the option of tipping drivers via the app, and 100% of tips go to drivers. 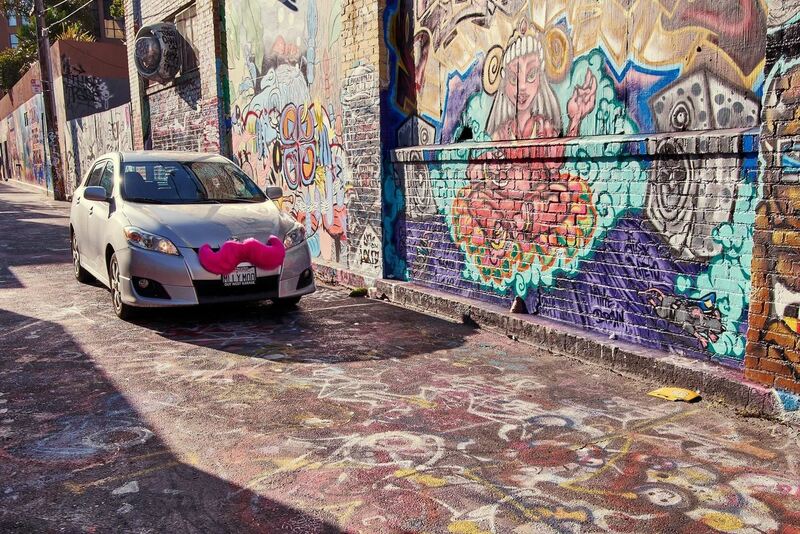 Sign up by opening the Lyft application and selecting "Apply to drive." Select whether you wish to use your own vehicle or apply for Lyft's Express Drive which provides you with a rental car. Express Drive pricing varies by city and includes insurance alongside a range of rewards once you reach a set number of rides. Once you have been approved, open the application and turn on driver mode so you can begin taking ride requests from passengers. When you complete a ride, payment is automatically processed and handled within the application. Lyft has grown to serve most major cities in the United States, and you must be at least 21 years old and have a 2006 or newer 4-door car in order to sign up as a driver. Bird is a new ride sharing service that gives access to a fleet of electric scooters that can be picked up and dropped off anywhere. As demand for the service continues to grow, so too does the need for power ... and that's where you come in! 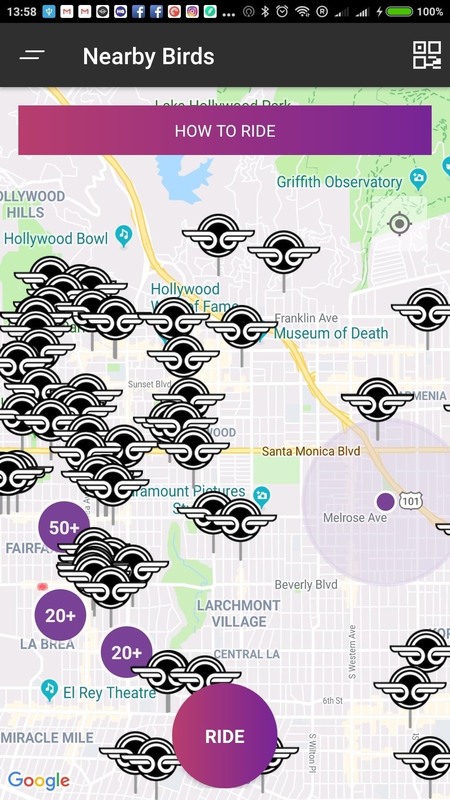 By joining a community of Chargers, Bird lets you make money by picking up scooters and charging them at your home or office before being released the next day. Bird promises earnings of up to $100/night with payment processed each morning for work completed the night before. Once you've signed up to become a charger, either via the app or online, you can start "bird hunting," as one user refers to it in this article from The Atlantic. Pay averages at $5 to pick up and charge a scooter, but some are worth more, for example: if a scooter is particularly hard to find, Bird will put a bounty on it, ranging up to $20. To sign up as a charger, you must have access to a car, be at least 18 years old, and live within reach of one of Bird's serviced areas.